The use of cannabis has been with us for centuries, thought to have originated in the steppes of Central Asia nearly 12,000 years ago, people have been using it for a very long time. In this article we’re going around the globe highlighting the medical uses of one of the oldest cultivated crops in the world. In Neolithic times cannabis was a common agricultural crop used for its high-protein seeds, oils, and fibers to make ropes, enrich diets, and make clothing for ancient societies. Cannabis as a medicine first arrived on the scene around 2737 B.C. when the mystic Chinese Emperor, Shen Neng, began prescribing cannabis tea to treat gout, malaria, beriberi, rheumatism, and poor memory. Around 200 A.D., the first pharmacopeia of the East, known as the “Pent ts’ao,” was created based on much of Shen Neng’s teachings, and contained various uses of cannabis to treat many ailments which also included 365 different medicines derived from plants, animals, and minerals. The Ancient Chinese founder of surgery, Hua T’o, used cannabis mixed with alcohol as an anesthetic during surgeries. In Ancient Rome, Pliny the Elder mentioned cannabis as a painkilling analgesic. Romans were also aware of the plants ability to alleviate labor pains, premenstrual symptoms, and menstrual cramps. In India, Hindus used cannabis to relieve stress and anxiety. The Indian healer, Sushruta, is known for prescribing cannabis for fevers and inflammation of the mucous membrane; while other Indian healers used it to treat coughs and asthma. Pedanius Dioscorides, a physician in Nero’s Army recommended a juice made out of the seeds of cannabis to aid in earaches. Galen, the Ancient Greek doctor used the drug to treat pain and flatulence. Women in Cambodia and Vietnam ingest a cannabis tea to alleviate postpartum distress, still used today. In Africa, “Dagga,” which is their name for cannabis, varied medically from tribe to tribe. The Sotho tribe used it during childbirth, whereas residents from Rhodesia used it to treat anthrax, dysentery, and malaria. Some tribes even used it to treat snakebites. In Europe, French doctor Francois Rabelais, wrote a book describing how cannabis could ease the pain of gout, cure horses of colic, and treat burns. Portuguese physician Garcia Da Orta described the plants ability to stimulate appetite. Thanks to the research done by Irish physician William O’Shaughnessy in the 1830’s, both England and the Americas gained interest in the medical potential of the plant. In 1850 the U.S pharmacopeia listed cannabis as a cure for many ailments, and until prohibition began in the 1900’s cannabis tinctures could be found in pharmacies and medicine cabinets all across the country. In the 1950’s a study was done in Czechoslovakia, which confirmed cannabis’s antibiotic and analgesic effects. You may wonder why one of the oldest cultivated crops in the world is demonized in today’s society, but once you see how entangled cannabis is to religion and commerce it’s easy to see how prohibition was largely influenced by politics of control, rather than from scientific or rational assessments of the drug’s use and effects. We believe it’s important to know the history because the stigma that cannabis-users are “pot-heads,” lazy, and unintelligent has demonized the plant long enough. The result has limited medical research and turned good people into criminals. Part two of this blog series will dive deeper into prohibition and the different ways cannabis has been misrepresented in the past. Help us end cannabis stigma by following us on social media where we are exploring cannabis through an active and adventurous lens! If you live in Marin County and want to consume cannabis bought in Marin, you still have to possess a medical recommendation. WARNING!!! Attempts to understand the legal jargon associated with regulating Proposition 64 is cause for confusion, dizziness, and the occasional headache. Luckily, you’ve got us, Nice guys here to summarize the regulations so you can get back to the inhalations and doing what you enjoy most, like an adventurous hike on Mount Tamalpais, or a beautiful evening walk through Marin. Recreational cannabis has been legal in the state of California since January 1st, 2018 when the bill went into effect, allowing anyone 21 years and older to carry up to an ounce of marijuana, or 8 grams of concentrated cannabis, and also allowing an individual to cultivate up to 6 plants per residence. Medical card holders are still protected under Proposition 215 so nothing really changed for you. “In Marin, Tiburon, Ross, Mill Valley and San Anselmo have approved prohibitions against recreational marijuana business activity which includes a ban on brick-and-mortar pot shops. Larkspur, Corte Madera, Fairfax, San Rafael and Novato have enacted temporary moratoriums on the pot trade, buying time to develop permanent ordinances. Recreational cannabis sales have also been prohibited in unincorporated Marin,” according to an article in the Marin IJ. If you live in Marin you’re going to have to travel out-of-county to grab some herb or possess a card and receive your products from one of the 4 licensed delivery services located in San Rafael, California. Each city and county have its own set of ordinances, with Unincorporated Marin and San Rafael as the only two jurisdictions in Marin allowing cannabis business licenses at this time. Although adult-use sales are currently banned throughout Marin, regulators are taking steps to move in that direction, albeit slowly. In Novato, where last year City Council adopted “an urgency moratorium on cannabis activity, which expires in November,” city officials want to talk about cannabis regulations and are asking for community engagement. 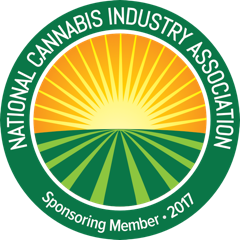 They’ve launched an outreach plan organized into three workshops, aimed at collecting feedback, educating people on the industry, and focusing on public safety and enforcement. The first workshop took place on July 21st, but you can still attend the remaining two which are Aug. 8th from 6-8pm at Novato City Hall and Aug.16th 6-8pm at City Hall. The best way to impact change is by showing up to these events and speaking your mind. We also recommend writing letters and calling local government officials to express your opinions. If you’re a Marin resident in need of a card you can easily obtain one by scheduling an online doctor’s appointment by clicking here. Thanks for reading! We'd like to invite you to join us in ending cannabis stigma through living an adventurous lifestyle and sharing your experiences on social media, by following us on Instagram|Facebook|Twitter and tagging #niceguysadventures in your photos. The landscape of cannabis is rapidly changing, allowing stigmas of old to change tide and shift out of consciousness. But with the changes come awkward conversations and challenging experiences, which is what occurred when I told my mom I accepted a job in the cannabis industry. See how my decision to work in a highly controversial industry changed the relationship with my mom and get my thoughts on the best ways to tell someone you love about your cannabis use. Growing up in a small town in the Midwest, raised with conservative Christian values didn’t equate to consuming the herb very often, or ever, prior to my mid-twenties. I was a high-level athlete who never rocked the boat; I received straight A’s in high school and always did what I was asked, my siblings tolerated me, but my mom loved me. I was the “golden boy,” if you asked any of my brothers or sisters. Shortly after graduating in 2014, from Michigan State University I moved westward to California where I coached wrestling for 1 season at Stanford University, and developed a taste for the controversial plant many of us love today. I eventually left my wrestling career behind and moved north to Marin County, Ca. When I told my mom about my decision to work in the industry she was aware of my use and wasn’t too keen on me or any of my siblings using it. She believed it to be mostly negative. I called her one morning and told her how I was going to be writing articles and managing social media accounts for Nice Guys Delivery, and the first words out of her mouth were, “that’s not going to be on Facebook is it?” I think I fell out of “golden boy” status in that moment. Telling my mom, I worked in the cannabis industry could have been destructive and downright bad, but I tried to keep the conversation light and informative. I may have side-stepped her questioning tone in the moment, but since have eased tension surrounding the topic quite a bit. I found highlighting the benefits of my decision and taking the time to explain why I enjoy cannabis helped alleviate some of her concerns. I talked about the research going into it and the benefits people were saying they felt from it, I told her I could receive health insurance from the company and that it was completely legal in the state I was working. She asked quite a few questions but never tried to control the situation, which I’m grateful for. Since our initial conversation she’s changed her view a lot. She still doesn’t like the idea of her kids using the plant for recreational purposes, but I don’t believe she views it as the destructive force she once did. She recently began asking questions about CBD and whether or not it would be a good option for her, and when I go home for holidays I don’t feel like I have to hide my consumption habits any longer. I may no longer be the “golden boy” in her mind, but at least she has a more accurate representation of me and what I’m into as a young adult, strengthening our relationship for the future. Enter the conversation with an open mind. We as people commonly project wrong beliefs about what we think someone else thinks, rather than simply being open and honest about our thoughts and allowing the person to form their own opinions. No two minds think exactly alike. If at all possible talk in person rather than phone or other methods of communication. I called because I live 2,500 miles from where my mom lives. Explain the plants long history used across multiple cultures throughout the world. Highlight the science and discuss the positive aspects of the plant but keep it simple and try to avoid jumping directly into the extended canna-lingo because that approach can produce a negative response in some people. It’s never a good idea to make someone feel dumb, even when done unintentionally. Set and setting matter. Approach the conversation when the person is relaxed, in a good mood, and has a moment to listen to what you have to say. I don’t recommend discussing this stuff during a busy or highly stressful time. Prepare for the unexpected. You might find that the person you’re talking to is a user themselves. There are still plenty of closet smokers in 2018 - through opening yourself and talking about your beliefs you might inspire someone else to do the same. Always respect their opinion. You may not change their thoughts after one conversation, and chances are likely you won’t. But the way you respond to their reaction goes a long way in the way they perceive cannabis in the future. Have you ever wondered whether or not you’re supposed to tip your cannabis delivery drivers? My guess would be yes, as someone who delivered products to our members for over a year, I was commonly asked this very question. The common pay rate for delivery drivers is anywhere between $10-20/hour; while I delivered I appreciated the tips whenever I received them, but I never planned on them. I always liked to feel as if I were being given a gift whenever I accepted tips from our members; I’ve personally been given anywhere from .05 cents to $100. There really is no range. The simple answer to the question whether you should tip your driver is completely up to you. Do you tip your barista in the morning? What about a server at a restaurant? In my opinion, tipping reflects your perceived value of the transaction. Were we timely, respectful, helpful, and personable, or could we have been better? Tipping allows you to express your appreciation as a customer. When reading threads online coming from sources like Reddit, it’s common for people to compare cannabis drivers to pizza delivery drivers. I think this is a good way to look at the situation, at least as a foundation. Often times when faced with the tipping question I liked to tell people we are in the service industry and it’s appreciated, but not required. Our drivers are hardworking individuals with likes, dislikes, passions and goals. When we arrive at the door for a delivery we appreciate a friendly hello – it’s nice to feel valued, even from strangers. One of my favorite aspects of being a driver were the relationships I was able to build with our members, but on the flip-side, it never felt good to arrive at the door and feel objectified. If you’re unable to tip kindness goes a long way. At the National level we are still facing prohibition which has been around for well over 80 years and was created mostly through false accusations and yellow journalism. The result is a dark shadow cast upon the industry, but we want you to feel safe, secure, and valued, so we hire drivers who reflect our mission with every delivery. It’s common for first time members to feel uneasy when thinking about ordering cannabis to their homes, but after your first experience with us you’ll quickly see how professional our drivers are and your fear of having a shady character arrive at your door will quickly be dissolved. When deciding whether to tip or not I believe there are a few things to consider. Was the order accurate and on time? We guarantee a 45-60-minute window for deliveries, but if for whatever reason we’re running behind our drivers communicate directly with you as the customer, so you never have to worry. Did we answer all your questions? If not, did we direct you to a helpful resource where you can find answers? How was our service at the door? Were we smiling and polite? These are all things to consider when tipping your drivers. We have a $50 minimum for orders, but we charge ZERO dollars in delivery fees. In summing up the question whether you should tip your driver, I’d remind you that it’s not required but greatly appreciated! Indica vs. Sativa - How do I choose the right strain? What's the difference between Indica & Sativa? It doesn’t matter if you’re new to cannabis or a long-time user, there is mass confusion surrounding the words “Indica” and “Sativa.” The confusion reaches so far, it’s led many budtenders to even ask what type you prefer, as you’re looking to purchase flower. It’s a problem because it gives users the wrong idea and is a key issue when trying to use the plant for medicinal purposes. The common belief behind strain selection is that sativa’s are more uplifting, energetic, and cerebral - good for social gatherings and fitness activities. Much of canna-culture also believes indica’s are the go to strain for something relaxing, or to aid in sleep or appetite stimulation. Where did these terms come from? The big takeaway is to understand that not all indicas are going to make you sleepy, and not all sativas are going to give you an energetic buzz. As confusing as this may sound, there is good news that can help you better predict your level of effects. Research has taught us that understanding cannabinoids and terpenes is a better marker when seeking the right strain to achieve our desired effects. Terpenes are the aromatic oils which vary in different strains and plants, giving cannabis its distinctive smell and taste – such as pine, lemon, or mint. Terpenes are produced by the plant to repel insects and spread pollen. Cannabinoids are the chemical compounds secreted by the flower to protect itself, they’re similar in composition to the natural compounds our bodies make, called endocannabinoids. There are at least 113 cannabinoids identified in the plant, and each cannabinoid is different in composition causing them to interact with cannabinoid receptors located throughout our brain and body, in uniquely individual ways. This is the reason for cannabis’s amazing ability to treat a wide range of ailments. THC (tetrahydrocannabinol) - the main psychoactive component, commonly used for pain, stress, appetite stimulation, and sleep. CBD (cannabidiol) - it is non-psychoactive and is commonly used for anxiety, inflammation, epilepsy, and arthritis. CBG (Cannabigerol) - non-psychoactive and is the chemical parent of both THC and CBD. Commonly used for muscular disorders, skin conditions, inflammation, and anxiety. CBN (Cannabinol) – non-psychoactive and is commonly used for pain management, insomnia, inflammation, and as a mild sedative. THCa (Tetrahydrocannabinol Acid) – non-psychoactive until heated where it then becomes the psychoactive form of THC. Commonly used for inflammation, neurodegenerative diseases, nausea, appetite loss, and pain. CBDa (Cannabidiolic Acid) – non-psychoactive and is the precursor to CBD. Commonly used for nausea, antibacterial, and inflammation. The combination of cannabinoids and terpenes interacting within our bodies give us an “entourage effect,” providing the user with the full spectrum of therapeutic compounds cannabis has to offer. Cannabis is a diverse plant offering a wide range of benefits, so take your time when selecting a product and never hesitate to ask questions. We also recommend writing down your experience with each strain, so you have something to reference when you are ready to make another purchase. With something as unique as cannabis it’s really important that we each take initiative to learn and understand how the plant interacts with each of us individually, that way we can make better choices when seeking a strain with our desired effect. Follow Nice Guys athlete Dan Osterman as he attempts to cycle around the globe to spread positive cannabis awareness! Hey guys, Dan here, and I’m really excited about the opportunity I’m about to share with you. For the past few years I’ve been a Marin County resident; first moving onto a Houseboat in Sausalito, then into an apartment in Tamalpais Junction, and most recently living out of a van for almost two years. My time in Marin has been one of personal growth, discovery, and has provided space away from my old habits to map out a new lifestyle for myself. As a retired high-level athlete from small town, America, I grew up believing the negative stigma’s associated with cannabis; I wasn’t too far off from believing marijuana grew with horns and condemned its users to a life of damnation. After moving west and coaching wrestling for one season at Stanford University I moved north to Marin. It was then I gained interested in cannabis and mountain biking, and for the first time I started to look at life outside of wrestling. I was working as a barista at Coyote Coffee when I met Adam Fong, Nice Guys Owner and CEO, where we formed a relationship and my journey with Nice Guys began with me voluntarily running their social media; connecting online has always been an interest of mine but I am a millennial after all. It didn’t take long for me to join payroll as a driver. The company has continued to grow month after month and I’m grateful for the opportunity I had doing deliveries because it helped me squash the prior negative stereotypes I had surrounding the drug and its users. I spent more than a year as a delivery driver, running into all sorts of people, situations, and questions. Being a driver helped me gain a lot of knowledge in a lot of areas. I got a chance to meet some really incredible people, I gained patience sitting in Bay Area traffic, and I became convinced of the healing potential embodying the cannabis plant. Around 6-8 months ago I started talking about my goal to travel the globe by bike. My employers must’ve thought I was joking because prior to the bicycle touring idea I wanted to sail the Pacific with basically no experience; so, they humored me with a salaried position as Social Media Manager, while keeping me on as a driver. As my departure date came closer they asked me to create a business proposal containing a content map and my plan to succeed. It was one of the harder things I’ve had to do in recent years because I struggle planning ahead, but now that it’s behind me and I’m a few articles into my new position I’m glad I put forth the effort. Good Bye, Marin. Hello, World. I left California July 8th and am driving my van across the country back to my parents’ home in Michigan. I’ve crossed the country nearly 15 times, mostly by car, a few times by train, and very soon a bicycle. I’m looking forward to riding my bicycle across the country. I’m writing this article at a local cafe called “Brewed Awakenings,” in Williams, AZ, an hour or so away from the Grand Canyon. When I walked in I met a kind older couple who were also bicycle tourists, after talking a minute we exchanged contacts and they invited me to stay at their home when I bike across the country later this summer. A big goal of mine throughout this trip is to uncover the kindness of humanity, I’d like to lift the veil placed on society which taints our experience of life by adding fear to our lens of perception. I especially want to highlight the kindness behind the cannabis community. I’ll be traveling with a teammate from my Michigan State wrestling days. He’s a more experienced bike tourist so I’m excited to learn from him. We plan to start our bike ride in September in Illinois and aim to reach San Francisco by the end of November. We originally wanted to ride over the Sierra’s, but it’s too late in the season to be riding so far north, I foresee us riding through: Iowa, Missouri, Kansas, Colorado, Southern Utah, Arizona, and California. Along the way I’ll be maintaining my duties as an employee engaging on social media, managing email campaigns, and writing weekly articles from across the country. It is a self-supported bike ride meaning I will be carrying all of my gear on a steel framed 26’ Surly Disc Trucker I’ve named Gaia. It’ll be fun downsizing yet again from a van to a lifestyle lived out of a few bags on a bicycle. We plan to sleep in our tents and camp most of the time. When I asked my buddy what he thought his daily budget for the US crossing would be he said $10/day. This’ll be interesting, especially coming out of Marin where $10 is hardly enough for a measly salad from Good Earth or Whole Foods, but I’m excited for the challenge. As a 4x High School wrestling state finalist and 3x NCAA National Championship qualifier I fell short of my ultimate goal of becoming a 4x State Champion and a collegiate National Champion; I understand there’s a difference between wrestling and bicycling, but at the same time there’s something within I must prove to myself and I believe overcoming the obstacles ahead of me while biking around the world is just the way to do it. My mission on this bike ride, along with spreading positive cannabis awareness is to gain a deeper sense of the collective thinking surrounding the plant and the people using it. For many years I naively shunned marijuana because I didn’t have access to true, genuine information. Nice Guys are more than a delivery service, they’re huge advocates doing their part to end negative stigma– the owners of the company are parents and are extremely active in the community; attending meetings and organizing community service events. I feel privileged with the opportunity they’re granting me. I’ve long desired to become a writer and this is the perfect classroom to sharpen my skills. In the coming months you can expect some pretty cool things. I will be updating you once a month via writing. In addition, I’m creating an Instagram show called “High Mileage,” where I’ll be talking about my trip in greater detail; discussing my experiences, gear reviews, how I’m living, and talking about the cannabis scene from wherever I find myself. The show will air weekly as I’m riding through legal and illegal states, I’m eager to meet people with all sorts of beliefs. Monday is my scheduled rest day off the bike. During rest days I will call-in to the office, update email campaigns, schedule and engage social media platforms, and edit and publish the weekly blog. Each Monday evening, I’ll produce a 15-30-minute Live Instagram show that ends in a Q&A format. Tuesday through Saturday I’ll work on articles from my phone, and I will engage with social media in the morning, at night, and during our breaks throughout the day. There are areas where I’m not going to have service and I’ll make sure to catch up on engagement after service has returned. Our average riding goal is only 40 miles a day, so it should be very attainable. There are plenty of individuals who doubt my ability to pull this off, but I’m excited for the opportunity to shine. If you’d like to follow my personal journey in more detail you can follow my personal Instagram account, or for access to the weekly live show follow Nice Guys Delivery on Instagram, or join our community on Facebook. I look forward to bringing each of you along for the ride! Cannabis Regulation and Why I Should Care? Wondering why some of your favorite products are missing from our shelves? Welcome July, with a new set of rules. If you are one of the unlucky individuals who came to our website looking for a product and were disappointed when you couldn’t find what you were looking for, we’re writing to you. We’re sorry we didn’t have your favorite wellness product, but we’re here to offer some hopeful news – for you, and the entire cannabis industry. There are times when progress feels like it’s halted, and this could arguably be one of those times, but we think it’s a good thing for the industry moving forward. Let us explain. A licensee may only sell cannabis goods that have been tested and passed all testing requirements in effect at the time of testing. All packaging and labeling must be performed prior to cannabis goods being transported to a retailer. Retailers may only sell cannabis products that meet the requirements set by the California Department of Public Health for ingredients or appearance. We cannot sell products that aren’t up to new industry standards. Our vendors (offering your favorite products) are going through the proper channels to legally do business. I think we can all agree a little regulation in the hazy landscape of cannabis is a good thing. As parents working in the industry we still fear the potential of products getting into our kid’s hands, so ensuring packages are child-locked, properly labeled, and responsibly used is important to us. There are risks associated with legalizing any drug; for example, coffee becomes dangerous if over-used but that doesn’t mean it should be illegal. We’ve witnessed the incredible relief cannabis brings someone suffering with illness, and we stand on the side of helping those individuals. Regulations surely aren’t perfect, but if they make it easier for a wider range of people to enjoy a higher quality of life we believe that is something to acknowledge. From afar it’s easy to look upon the businesses and wonder why t still aren’t prepared to place their products on the market? Six months seems like a long time, but the reality hasn’t been as simple. Rather than looking down upon the chaos I think we should remember a time not too long ago when cannabis was completely on the black market and having the ability to buy any type of weed without being criminalized was something to be desired. A pure sativa originating from the South African port city of Durban. This ones fire! Durban Poison is an energetic, focused strain of bud. It tastes like a sweet, earthy, and piney mix of euphoria; producing uplifting, creative, and happy sensations. This is the perfect strain for daytime smoking as it is a pure sativa with a clear minded high that helps me stay productive all day long. I’ve never experienced a comedown after smoking Durban. In fact, it’s the closest thing I’ve found to mimic the effects of Adderall — I’m not saying you should stop your prescription and just start smoking, but for me it’s a preferred natural option over synthetic drugs which leave me feeling dull, overstimulated, and occasionally cranky. Another little known fact about Durban Poison is that it contains THCV — Tetrahydrocannabivarin, which is an appetite suppressant. In contrast to THC, THCV may dull the appetite. This may be good for consumers focused on weight loss, but THCV should be avoided by patients treating appetite loss or anorexia. THCV may help with diabetes. Research shows promise in THCV’s ability to regulate blood sugar levels and reduce insulin resistance. THCV may reduce panic attacks. It appears to curb anxiety attacks in PTSD patients without suppressing emotion. THCV may help with Alzheimer’s. Tremors, motor control, and brain lesions associated with Alzheimer’s disease appear to be improved by THCV, but research is in progress. Medicinally it has been used to treat stress, depression, fatigue, pain, and headaches. However, be aware some users report dry mouth, dry eyes, dizzy, or occasionally anxiety. That means we’re at the center of the plastic pollution problem— boy, how’s that for a tongue twister? ‘Plastic pollution problem’…twister or not it’s a real concern we believe should be considered more. Sunday evening we joined a small group of volunteers on the Northern California coast, Stinson Beach, CA to spend a few quality hours outside walking around picking up waste along the coastline. It was a quiet evening, we arrived to overcast skies which left the beach fairly empty, but not long after beginning the clouds dissipated into a beautiful sunset. A). It’s part of our home and like most we appreciate a clean environment. B). We believe if something should be done we might as well be the ones to do it. If we turn a blind eye, by virtue how can we hope to expect others to clean up while we’re not? We believe the best way to hope for change, is to embody the behaviors we hope to see amongst our peers — like treating one another and our environment with respect — being nice without hoping to get anything in return. Kindness for kindness sake. C). Cannabis is more than it’s negative stigmas. We stand as a family amongst a community — actively participating in community meetings, outreach events, and in bolstering a positive image around the culture. By putting ourselves in the front of the public eye we get a chance to positively improve peoples perception of Marijuana users and what we stand for. It’s a grassroots philosophy but in the unstable environment we live in simple concepts and basic fundamental truths are a great tool to keep the ball moving forward in a positive direction. When I was a boy my dad taught me to always leave our surrounding better than we found it. I took that to heart every time we went camping and needed to pack up before leaving — my siblings and I would grab a trash bag and scour the campsite until we left it cleaner than we found it. It’s a really simple principle that can have a tremendous impact over time. The other night as we gathered to clean only a few people showed up. At first it seemed disheartening because we were hoping for a larger turn out but when I really stopped to think about it there wasn’t anything to be disappointed about. One of our contributing members was Nicole Klemaswith NPK Yoga — who in her own right is helping break negative stereotypes by offering Cannabis+Wellness yoga classes in San Rafael, CA, once a week. We cleaned for a few hours and each picked up a decent amount of trash. Even if we’d just picked up one piece of plastic each it would have been better than none. When considering plastic waste and pollution it’s important to note that its going to remain sitting there poisoning our environment until its removed. Every little bit helps. The best part of the experience outside the actual cleanup was the acknowledgement we received from other people on the beach. It mean’t people noticed, and by noticing now they might decide to do something similar in the future. It’s that kind of forward momentum that gets us excited. Todays world is full of unrest — thats no surprise, so when we’re able to do simple things that have a lasting impact on our community thats where we want to be found — for us business is more than a transaction; it’s about finding ways to serve our community — and for us it’s by cleaning up the home we love so much. We’re aiming make this type of event a regular occurrence in Marin County. We’d like to do service projects once or twice a month. We want to keep it simple while also making it fun —we’re considering grabbing a trash bag and meeting for hikes, cleaning up as we go kind of thing. Making a difference and finding ways to give back doesn’t have to be complicated. We’d love to hear about some of the ways you give back? Tag the nicest person you know and explain why on our #NiceGuysMovement community on Instagram.